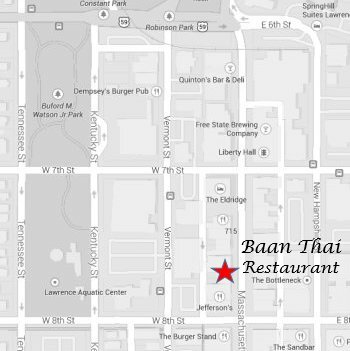 Baan Thai in Lawrence now delivers!! 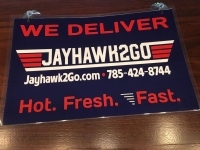 Call (785)424-8744 or go to Jayhawk2go.com to see our full menu and place your order! Enjoy!!! We open on Sunday, November 1, 2014, at 5 pm for a special sneak preview of the best Thai cuisine in Kansas! Come join us for this "soft launch" as we prepare for our grand opening next week. Since November 1, 2014 we have been dedicated to bringing a unique, authentic, Thai dining experience to the people of Lawrence and the greater Kansas City region. Dine-in or carry-out, we promise the best Thai food this side of Bangkok! Copyright 2016 ProSIM Company, Inc.